Police in Dorset are taking action after social networking websites were shown not only being used to stir up gang violence, but also to post up bawdy pictures of vulnerable teenagers. 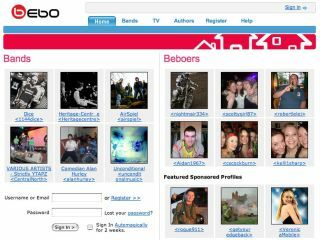 Bebo is an explosively popular social networking website, and is the 174th most popular English language website. It was also the fastest growing social networking site in June 2006. Constables are going to try to ban certain youngsters from using the Bebo website in an attempt to put an end to their reckless online conduct. The trouble in Weymouth started when police discovered that rival 'factions' were using Bebo to arrange gang fights. Sergeant Tony Smith of Weymouth police's Safer Neighbourhood Team told local media: "I don't want to be alarmist but I think parents should wise up to this." "This is a difficult issue because the internet is not policed so it is down to parents to find out what their children are doing on their computers. "We are attempting to talk to the people behind the Bebo site in San Francisco, California, because I think members who abuse the site should be banned. "But kids are continuing to mock each other on the site and this has led to a number of disagreements and assaults. I have spoken to victims who admitted they bad-mouthed someone on Bebo. "We are also seeing a rise in the amount of graffiti tags or signatures around Weymouth by members of gangs which we believe is a result of the conversations that have been taking place on Bebo. "One parent discovered that her daughter had submitted a picture of herself lying on her bed in her night clothes. "Some of these profiles are not protected and can be accessed by all sorts of people who surf the web for sinister reasons. "I've also had reports of youngsters flashing their bodies when they talk to people on their webcams. I'd urge parents to ensure they know what sites their children are surfing and to seek further advice if they have any concerns." Meanwhile, Bebo says it is working to stop this kind of activity by collaborating with the Child Exploitation & Online Protection Centre ( CEOP ), a new law enforcement agency.